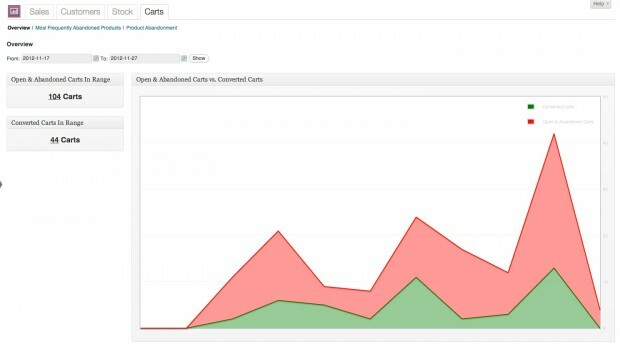 WooCommerce Cart Reports Extension: provides real-time metrics on your customers’ open and abandoned shopping carts and allows you to manage your WooCommerce store more efficiently. 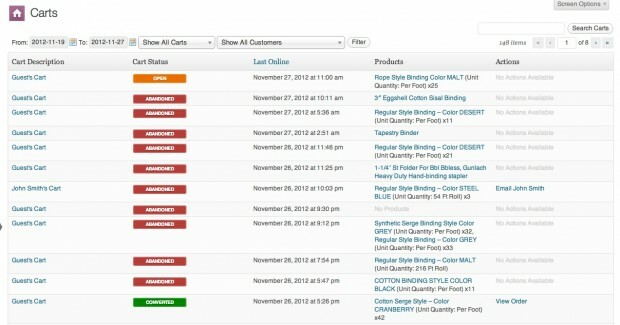 ◉“Cart Detail” view showing cart products, time-last-updated, and more. 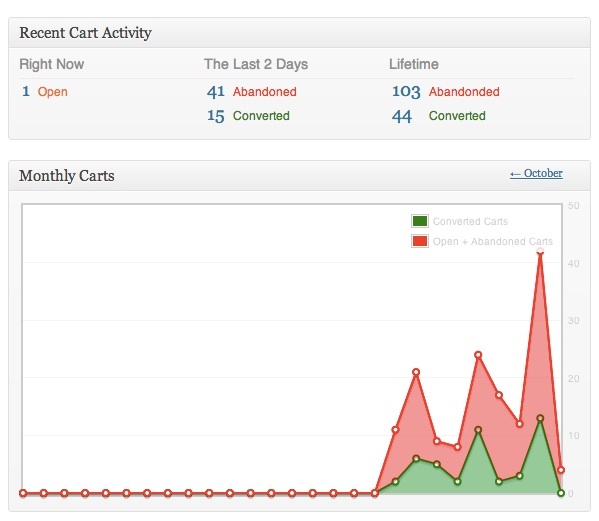 ◉Contact customers when they have logged in, but have abandoned their shopping carts.